A short drive from Charlotte, explore award-winning wineries on the Uwharrie Mountains Wine Trail, inviting lakes and adventures. Tucked in the ancient Uwharrie Mountains, it’s impossible to tell Stanly County is just an hour’s drive east of Charlotte’s hustle and bustle. Its winding country roads cross a unique landscape in the Piedmont region of North Carolina that’s filled with natural wonders, charming small towns, inviting waters and welcoming people. Dennis Vineyards opened 20 years ago as the county’s first winery, so its staff is well prepared to help you discover your favorite wine. A good starter is the light and refreshing Carlos in the Buff, which is made from skinless muscadines. The grapes, whose scuppernong variety is the state fruit, are a favorite of Dennis’ father-and-son owners and the vintners that followed. Toast their hard work on the porch that overlooks the vineyard. The mountain and lake views from Stony Mountain Vineyards’ deck or its rustic tasting room’s large windows will stop you in your tracks. Sample the family owned winery’s European reds and whites along with unique blends such as “Beary” Red. Sharing a name with the owners’ dog, it’s a mix of blackberry and dry red wines that starts sweet and finishes clean. See how the wines are made on the tour, which includes enough laughs and insider information to regularly push it past its scheduled finish. Uwharrie Vineyards is Stanly County’s largest horticulture farm. Its smooth Noble Evening Pleasure, which is made from red muscadines, is sweet and dry, and you’ll taste summer in every sip of its peach wine. Browse the gift shop for more homegrown items, including art from Stanly Arts Guild past president Anita Ammerman, pottery and all-natural Gran Nanny’s Goat Milk Soap, which is made in nearby Oakboro. 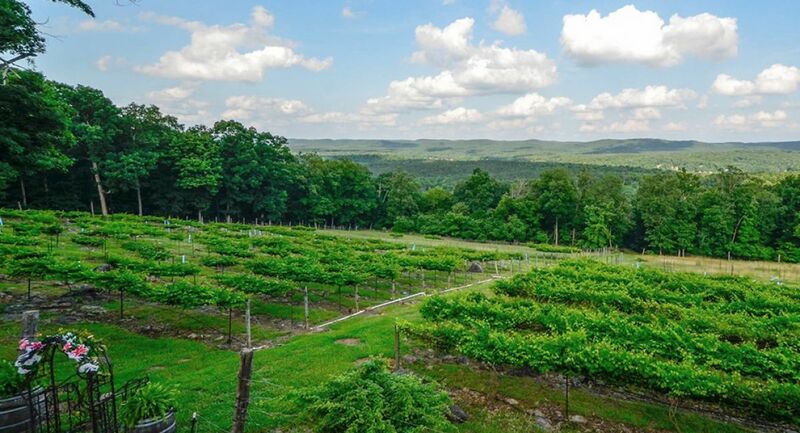 Uwharrie is the first winery in the U.S. to be named a Certified Audubon Cooperate Sanctuary, which acknowledges its commitment to environmental and wildlife conservation. All three vineyards are part of the Uwharrie Mountains Wine Trail. The Badin Road Drive-In – one of five drive-in movie theaters left in North Carolina – shows double features on both of its screens on Fridays and Saturdays. But the fun starts before the sun sets. There’s a children’s playground, and tailgating is popular with the regulars. If you’d rather buy than bring, the concession stand’s menu goes from burgers to pizza, and its milkshakes receive rave reviews. A low-power FM station broadcasts the audio for the newly released movies. Tune in your car radio, or rent a portable radio onsite if you plan to watch from a blanket on the grass or pick-up truck bed. Lake Tillery has its own gathering spot, the Sandbar. Launch your boat at one of three state access sites on the 5,000-acre lake or rent one from Lilly’s Bridge Marina. Then motor to the Uwharrie River’s mouth at the base of Morrow Mountain. Drop your anchor and enjoy the nautical comradery as you swim, fish or let the warm sun and gentle waves rock you to a well-deserved nap. There’s more water to explore upstream at slightly larger Badin Lake. Its depths are the resting place for a World War II bomber and its crew. Hear their story, which involves a lovers’ farewell, at Badin Historic Museum. The lake also is a popular fishing hole, thanks in part to the 89-pound blue catfish it produced, which stood as the state record for nearly 10 years. There are plenty of big bass, too, which make it a popular tournament venue. Bring your tackle to The Fork Farm & Stables, whose fishing pond is only one activity on its well-maintained 1,600 acres. Many guests get a big bang from the three world-class sporting clays courses, where stations are spaced to eliminate distractions from other shooters. The rolling countryside allows targets to be presented from below and above, giving your skills a strong test. The Fork’s 35 miles of mountain biking and hiking trails will take you to peaceful riverside picnic spots and prime bird watching. Portions of the property are managed for duck, dove and quail hunting. There are places for you to spend the night, too. Choose from the Lodge Bed and Breakfast and its rocking chair porch, 2-bedroom Carriage House or 26 RV sites with water and electric hookups. Morrow Mountain State Park also offers camping. While its 2-bedroom cabins, complete with kitchen and bathroom, are often reserved well in advance, there are 106 sites for RVs and tents, along with a few primitive tent sites at the end of a 2-mile hike. 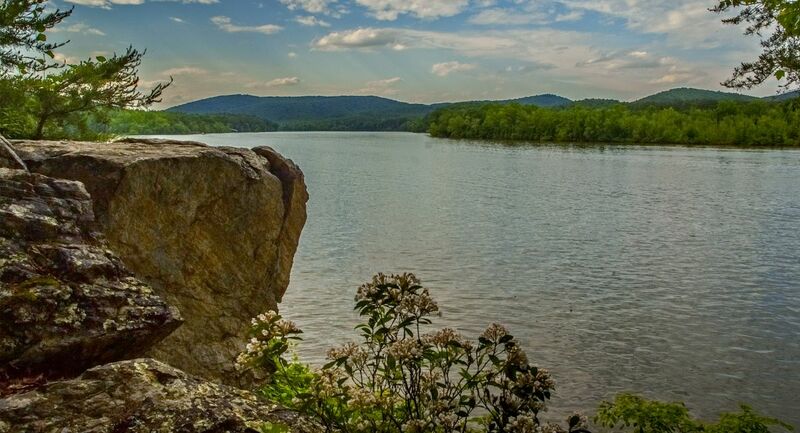 Follow the 15 miles of hiking trails, from easy to rugged, to interesting sights, including stretches of brilliantly colored mountain laurel and a pre-historic Native American quarry. Learn more about them at the park’s Exhibit Hall and reconstructed mid-1800s homestead of Dr. Kron, the region’s first doctor. Rent a canoe from the park’s boathouse and paddle the Yadkin River, watching for soaring bald eagles. You’ll find the Piedmont’s best view of sunrises and sunsets by hiking or driving to Morrow Mountain’s summit, where there are picnic grounds. This article was produced in partnership with Stanly County Convention and Visitors Bureau.